Children and parents often don’t see eye to eye. But for second-generation immigrant youth, the generational gap looks more like a tectonic rift. If you grew up in the West and your parents didn’t, then Pluck’d will undoubtedly hit close to home—or quite simply at home. 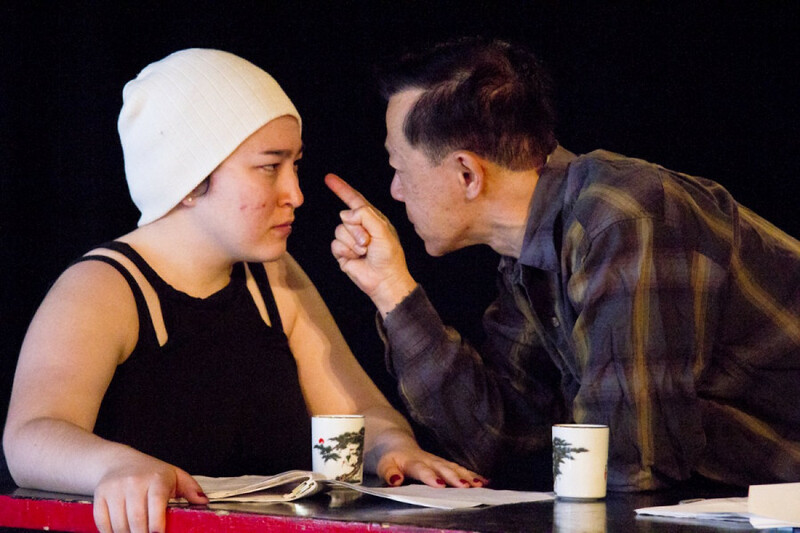 Pluck’d, a play by Bald Angry Asian Productions, is a reflection of Concordia University undergrad and playwright Kě Xīn Li’s personal experience. The play hones in on an episode during Christmas dinner as Cheeri, a queer, transgendered anarchist, comes home after their first year in university, revealing the Chinese immigrant family’s diverging values. The Father, played by Edward Wong, is not having any of it and struggles in his attempt to explain to Cheeri that his values are superior. Unfortunately, sometimes disagreements are met with violence as the audiences will witness during the play. Immigrant parents will often have a hard time understanding that their children are exposed to a culture that is largely centered on the freedom of expression and self-fulfillment. Language barriers are a strong factor when talking about complex ideas. In many cases, conversation won’t go further than, “small talk and weather,” as Li explained. The Mother played by Kayo Yasuhara is submissive to her husband, to the point that the character is a clown that mimes the entire time. It’s also symbolic of the linguistic barrier. Having spent their childhood with limited conversational engagement, second-generation immigrants end up at an oral disadvantage when confronted with social, professional and intimate relationships during adulthood. Li also feels that this reality can create envy in immigrant youth towards their Caucasian peers. Have You Ever Wondered What it’s Like to Act as a Racialized Person?